Book by Riccardo Balli aka DJ Balli from sonic belligeranza with texts by balli and some other people and grafic and illustrations by Rudolfo. 140 pages. publisher info "Volume +06 of THISCOvery CCChannel collection published by Chili Com Carne and Thisco. 140p. b/w with illustrations and photographs. 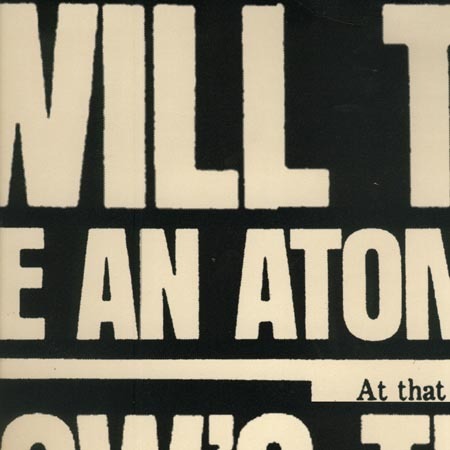 Full color cover. IN ENGLISH. After having whistled quite a number of 8-bit versions of famous pop songs, and delighted his ears with chip-tune covers of black metal and classical music, Riccardo Balli thought it was about time to extend micro-music aesthetics to literature, and remix Mary Shelley's classic accordingly. Through some sort of low-resolution séance, the author evoked the spirit of corpse reviver Giovanni Aldini (1762-1834), credited for having inspired The Modern Prometheus. 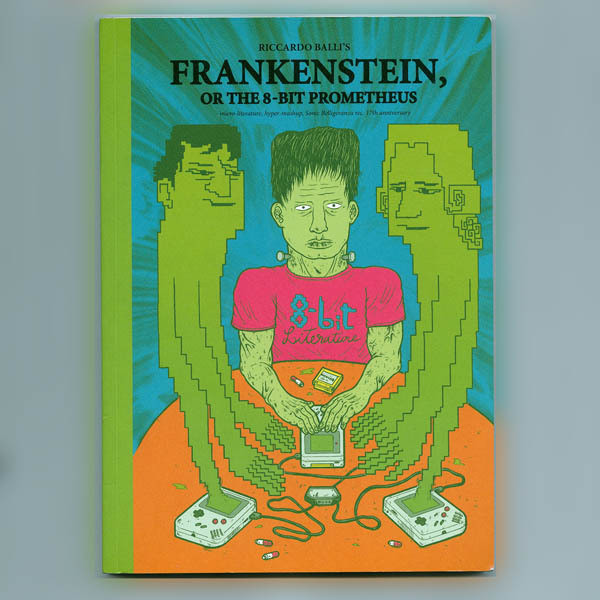 Aldini tells a compressed version of the original Frankenstein, exposing its language to retro-gaming jargon and simplifying the plot as if it were an arcade game. The aforementioned 18th-century electrifier was the nephew of eminent Bolognese scientist Luigi Galvani. Also from MIDIevil Bologna is DJ Balli's electronic music label Sonic Belligeranza, whose 17 years of existence (2000-2017) this volume celebrates with 17 texts that explore the multitude of contradictory sounds constituting the corpse of this Sonic Frankenstein. Send him an impulse from your Game-Boy! BLEEEEEEEEEEEP!